Although there has been a significant advancement in the diagnosis of Alzheimer’s disease and Related Dementias (ADRD), the disease often goes unrecognized or is misattributed, causing a delay in appropriate diagnoses and care that are both harmful and costly. Currently are no U.S. national consensus best clinical practice guidelines that provide integrated multispecialty recommendations for the clinical evaluation of cognitive impairment suspected to be due to ADRD for use by primary and specialty care medical and nursing practitioners. A work group convened by the Alzheimer’s Association has developed recommendations for physicians and nurse practitioners which were reported at the Alzheimer’s Association International Conference (AAIC) 2018. 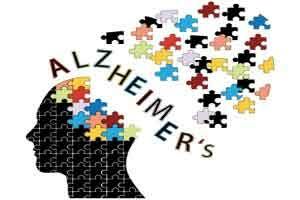 Alzheimer’s disease and related dementias may lead to both behavioral and cognitive symptoms of dementia. As a result, these conditions can produce changes in mood, anxiety, sleep, and personality, as well as interpersonal, work, and social relationships, that are often noticeable before more familiar memory and thinking symptoms of Alzheimer’s disease and related dementias appear. Magnetic resonance imaging or computed tomography should be obtained to help establish etiology in a patient being evaluated for a cognitive behavioral syndrome. Advocates molecular imaging with fluorodeoxyglucose (FDG) positron emission tomography (PET) imaging when there is continued diagnostic uncertainty regarding etiology after structural imaging has been interpreted. Third, appropriately educate, communicate findings and diagnosis, and ensure ongoing management, care, and support. The Alzheimer’s Association encourages early diagnosis to provide the opportunity for people with Alzheimer’s to participate in decisions about their care, current and future treatment plans, legal and financial planning, and may also increase their chances of participating in Alzheimer’s research.